From The Man From Snowy River, through an award-winning motivational speaking career, and a left turn at his highly successful sales training business, David Ferrier is today the heart, soul, inspiration and high-octane fuel of Digital Media Hub. Starting out as a heroic jackaroo on horseback out of Alice Springs, David started his working career by achieving record-breaking direct and corporate sales success and in 1999 started his own motivational speaking, sales and leadership training company. By 2011, he was president of The National Speakers Association, specialising in sales, clinical psychology, the subconscious mind, body language and beyond and proudly working with prestigious clients like Nike, ANZ and Chrysler. 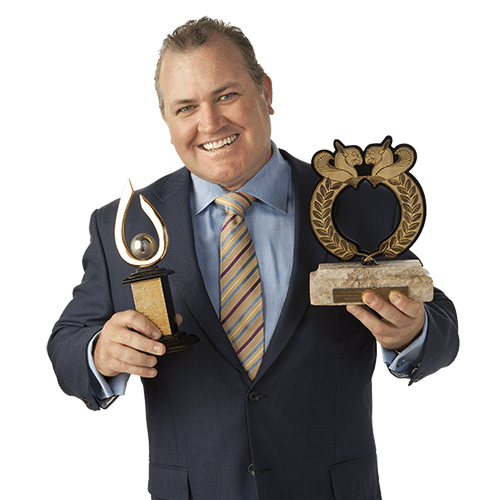 David won awards at international business conferences in 2012 and 2013, as he successfully perfected his passionate, engaging and contagiously enthusiastic style of professional speaking throughout Australia and abroad. This 18 years of inspiring experience in sales training started with a simple website, and through powerful search optimisation campaigns and fully manifesting the true potential of a business’ online presence, established Digital Media Hub. DMH is a fast-growing and now true national market leader in SEO and web design. It’s a creative digital marketing agency fuelled by David’s skills for building and ranking high performing, powerful websites combined with his passion and enthusiasm and the meticulously hand-picked DMH Talent Team. Find out more about how to take your business to the next level with our internet marketing specialists. Contact us today for a quote!